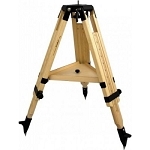 The Berlebach Planet Tripod for Vixen's GP and Sphinx Mounts is the most stable of the wood tripods, with large wood cross sections and innovative clamping elements, providing a high load capacity. Maximum vibration damping is achieved with this stable system. 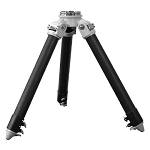 The flat tripod head has a 4.1" tripod leg junction to ensure maximum torsional stiffness. 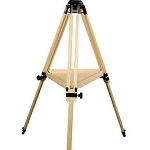 The Planet Tripod comes with a spread stopper and wood tray. 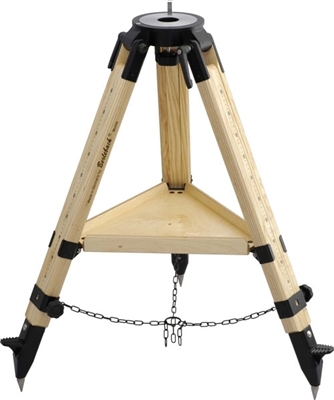 Minimum Height: 27.8" Maximum Height: 53.5" Weight: 24.3 lbs Load Weight: 220 lbs Maximum Spread: 34.6"